Eileen le Croissette was just an ordinary teenage girl. Living with her parents, she spent her days roller skating with friends, studying for exams and daydreaming about travelling the world. But on September 3rd 1939 Britain declared war on Germany and everything changed. With Britain standing alone Eileen was determined to help defend her country. She joined the RAF as a Clerk Special Duties and found herself in the top secret Filter Room – a place so hush-hush she had to sign the Official Secrets Act to work there! 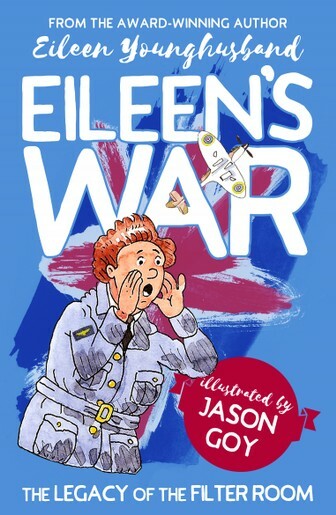 Eileen’s War tells the remarkable story of living through the Blitz, acting as a guide in a liberated Nazi concentration camp and hunting down V2 rocket launchers! A children's version of the award-winning memoir One Woman's War. In more recent years Eileen moved to Sully, Wales. At the age of 87 Eileen graduated from the Open University as one of their students of the year. An avid campaigner on health and education issues, Eileen was awarded the British Empire Medal in 2012 for services to adult education, and won the People's Book Prize 2012/13 with her autobiography One Woman's War.